The effective use of lighting can evoke emotional responses to the musical, artistic and technical elements of your event. 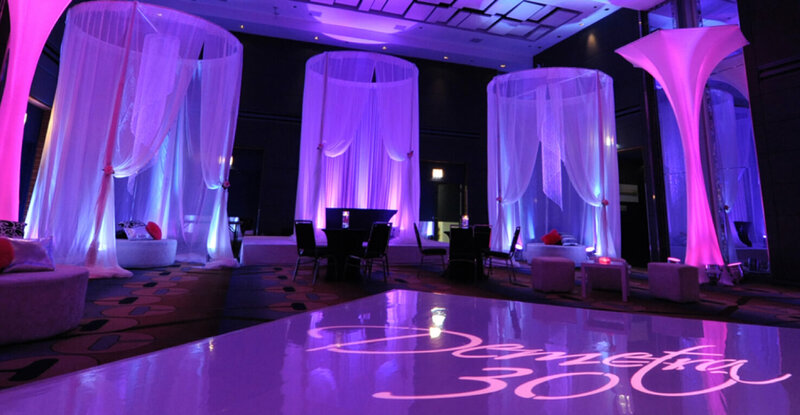 Dramatic lighting can compliment your event theme, provide the right level of energy or the subtle touch of sophistication that is required to set the mood of your event. Your Power Squad Lighting specialist can work with your event coordinator to plan for the on-site logistics and device locations for the dramatic staging and scenic designs that capture the imagination of guests and provide the desired atmosphere for your event. Our Uplighting, Gobos, video technology and other special effects can provide special dynamics to your events.